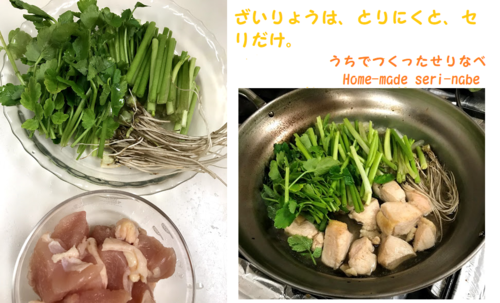 I wrote ‘seri-nabe (a one-pot dish with Japanese parsley) is in season’ in my last column about ‘Pageant of Starlight’. I’ll write about the seri-nabe this time. Nabe-ryouri (one-pot dish) is a dish which we eat cooking in a big pot on the table. 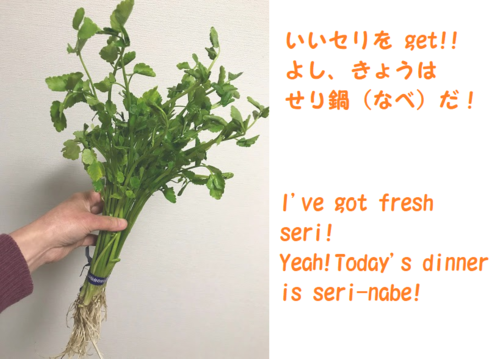 Seri (Japanese parsley, dropwort) is a kind of herb like watercress or coriander which has been eaten since old times in Japan. There has been a custom to eat ‘Nanakusa-gayu’ on January 7th. Nanakusa-gayu is rice gruel containing seri and other 6 kinds of herbs. They say it helps prevent illness. When I was a child, seri was merely a wild grass which grew around rice paddies. But it is now a special dish of Sendai. Miyagi Prefecture is the largest producer of seri in Japan and it is a specialty product of Natori City located on the south of Sendai. Seri-nabe is cooked using plenty of seri rich in vitamins and dietary fiber. We eat the root too if it is fresh. 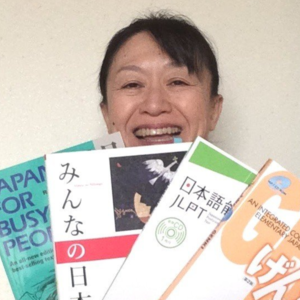 We can eat seri-nabe in restaurants in the city. Of course we can get fresh seri in supermarkets and cook it at home easily. Basic way to make it is : Cook chicken in soup stock, soy sauce and mirin (sweet sake for seasoning) or sugar. Add seri just before eating. Be careful not to cook it too long, because seri cooks quickly. 10-15 seconds may be enough. It’s OK to add your favorite ingredients such as green onion, burdock and tofu, etc. Please enjoy the peculier aroma of seri. After eating them, put rice or soba noodles into the leftover soup. It is delicious too and warms your body.